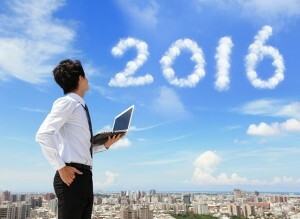 #7 Predictions - Where is Cloud Computing Headed in 2016? Home / #7 Predictions – Where is Cloud Computing Headed in 2016? #7 Predictions – Where is Cloud Computing Headed in 2016? Cloud technologies and models, in no time; have earned a reputation of being one of the core disruptors of the digital age. Social, mobile and analytics share the same status in the IT market. 2015 marked the point when a large portion of enterprise applications and data looked for cloud computing as the go-to platform. One may ask why? What happened to, then existing technologies before cloud computing in to picture? Why not? Flexibility, scalability, and lower capital expenditures are no more just mere terms, rather a possibility for organization that opted for Cloud technology. What else has worked out for these companies? Lower capital expenditures compared to the traditional in-house data centers is another critical factor in favor of the technology. The amount of innovation in the next five years will take a huge leap compared to what we have seen since its inception. Gartner expects adoption to hit $250 billion by 2017. This means that the platform will automatically provision and deprovision the infrastructure to support the application by dynamically determining how much infrastructure is needed. From 13 percent in 2015, the VMs in public cloud now have rose to 17 percent of enterprises with 1,000 VMs in public cloud. The big cloud players, from Salesforce to AWS, all want organizations, big or small to move their data from internet of Things (IoT) assets to social media metrics, web platforms like Zendesk, Workday, as well as from devices and machines into their ecosystems. These are now the key targets for the cloud giants. Large enterprises from every industry sectors have already made the change, or the transformation is in progress. They look up to cloud for huge transition of entire infrastructure and data ecosystems. Cost-effective and risk-free are two extremely good propositions most change-resistant and traditional industries cannot give a miss. Global Technology Outlook has predicted that around 48 million applications will be available on the cloud by 2016. That is almost over a quarter of all applications. A survey shows that cloud services will see 58 percent (approx.) of enterprises spend more than 10 percent of their annual budgets. World will witness a surge in the use of hybrid cloud. This accelerated shift will allow enterprises to make use of their own private and service provider environments to deploy workloads to achieve the impeccable cost-effective performance and efficiency advantage. thanks for your post buddy.. i really appreciated with this article. keep it up continue. Wow, I will certainly put this to good use! Wow, amazing blog format! How long have you been blogging for? you made running a blog look easy. The total glance of your site is magnificent, let alone the content! I view something truly interesting about your website so I saved to favorites.